Specialist business property adviser, Christie & Co has sold Herringthorpe Service Station, a modern petrol filling station in Rotherham, South Yorkshire, to expanding group operator, Karan Assets Holding Ltd.
Herringthorpe Service Station is ideally positioned within a residential area along a busy A road on the edge of the town centre. Open 24 hours, the site benefits from strong passing and local trade, generating income from fuel sales, grocery store sales and licensed trade, plus additional income from forecourt services, such as air and water machines and screen washing. Myuran Mahadevan said: “We have dealt with Christie & Co several times in the past with business transactions. We have known Jon Booth from Christie & Co for nearly four years now and have always had a good relationship. He encouraged us to put our site on the market with the price we had in mind and within two months of being on the market, we had an offer agreed to an established operator who was looking to expand his portfolio and we found him to be genuine. Herringthorpe Service Station has been acquired by Top 50 Indie, Karan Retail, marking their 12th acquisition. The group plans to double their portfolio in the coming years. Herringthorpe Service Station will continue to operate as a managed business, while the store will be rebranded and trade under the Budgens banner. 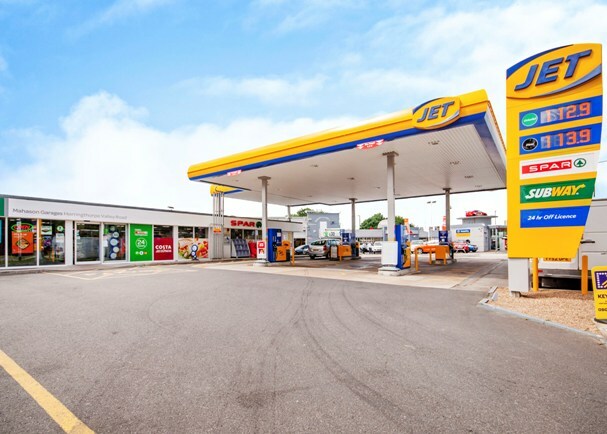 Christie & Co sought an asking price of £1,500,000 for the freehold interest of Herringthorpe Service Station.